Since 2013 started I’ve changed many personal habits. I stopped drinking soda, I used to drink plenty of diet coke just for the caffeine, but I decided to stop that. I’m walking a lot more and using more the public transportation. Finally, I introduced Green Tea to my every day diet. At first I was hesitant, as the flavour isn’t great, but after a week I did notice certain changes. First, I felt more awake, focused and alert. Second, my digestive system started working better and getting rid of toxins. Third, the flavour grew in me and now I like it. There are several benefits that green tea gives you. It is made from the leaves of Camelia Sinensis, which comes from China. Green tea is always associated with South-east Asian cuisine and its millenarian cultures, I mean, there’s a reason they keep drinking this and living long lives, right? 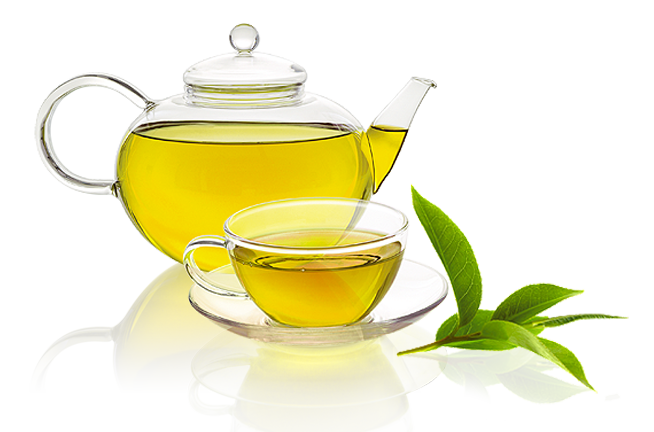 The benefits of green tea are claimed by many, however, the scientific studies to prove these claims have been inconclusive. I do feel much better and, glad I took this path instead of drinking soda. Go for it, I used to be a BIG soda drinker, now that’s in the past, sorry Coca Cola company. I also used to drink a LOT of Coffee, I still love my coffee, don’t get me wrong, but having green tea as “The” healthy option feels great. Ps. A great friend of mine, Gabriel Saldana, is a tea enthusiast, I bet that you could find more information about tea in his blog. Death is understood all around the world in different ways. 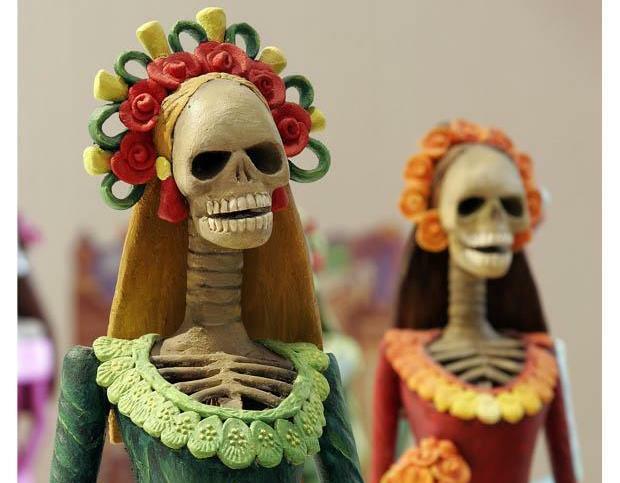 In Mexico death has its own day: the Day of the Dead. This isn’t a festivity for mourning, regret or sadness, au contraire mes amigos, death is a celebration in Mexico. The Day of the Dead can be tracked back to 2,500 to 3,000 years ago, passing through the days of the Aztec civilization with the adoration of goddess Mictecacihuatl (c’mon, say it, don’t be shy), until modern days, where the “lady of dead” became the modern Catrina. 1. Spend some time with the dead; we visit the cemeteries, bring to our passed relatives their favourite foods and drinks, flowers, and we clean their graves. 2. Altars are a must; we make an altar or shrine (as big as we can afford it but always with seven levels), using bright colours (mostly orange and yellow), where we put pictures of our late relatives, flowers and their favourite food. 3. 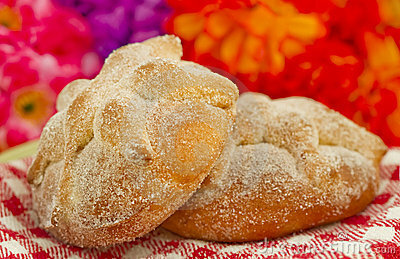 We eat “Pan de Muerto” (bread of the dead) and “Calaveritas” (sugar made skulls) with some hot chocolate (if you live in the US, try getting the “Abuelita” brand, freaking awesome). Day of the Dead is the way we Mexicans celebrate death. Instead of fearing it, we greet it, respect it and, through our beliefs, interact with the souls of our dead relatives. Maybe that’s why Mexicans get over the loss of a relative or friend faster and better than other cultures, because we acknowledge death as a temporary and relative stage of the gone soul; a soul that wanders freely through the universe, coming back to where it belongs every year, to say “hi” to whom it left behind. Sounds weird doesn’t it? I know, when I meant “eating Mexican” I meant “eating Mexican food”. So, for all of you looking for a sexual innuendo in my words: well done. Anyway, the point is, people ask me what’s the difference between Mexican spicy and Indian spicy, for example. Well, I think it is like comparing eating Mexican food to dancing with a Mexican. 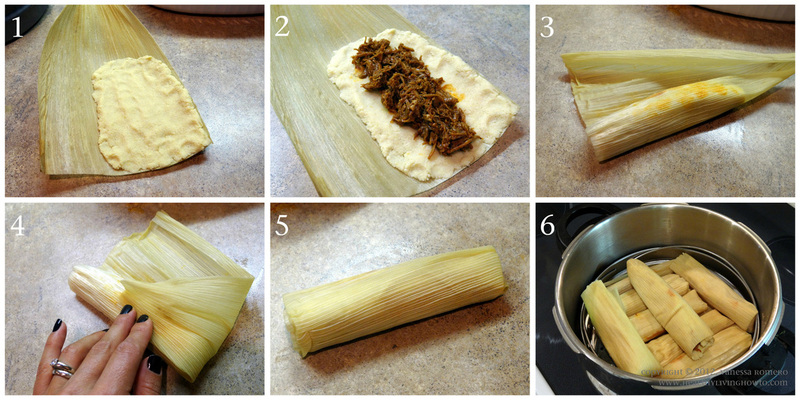 At first, you are just there, waiting for your meal, something average like enchiladas. At first you see the dish and it looks fine, it looks harmless, right? Now imagine you are at the club, and you see this Mexican guy inviting you for a dance, “Hola señorita, fancy dancing?”, he’ll say. You look at him and think to yourself: “oh well, he looks fine, he is short but cute, harmless, right?”, but, is he really? Just like Mexican food, dancing with a Mexican is a matter of going with the flow. At first he reaches for your hand and takes you to the dance floor. The same way you reach for salsa with that crispy nacho. As soon as he grabs you by the waist (the Mexican guy, not the enchilada) you are feeling a tangling sensation going through your body. You don’t get it at first, but the room feels warmer, your cheeks blush, your pupils widen, and your heart… oh your heart, it’ll be pounding with desire. The same when you have Mexican spicy, it’s just there, hanging out in your mouth, then chemical reactions begin to occur and your body prepares for a domino effect beyond its comprehension. The tiny Mexican spins you around, gracefully touches your hips, whispers “corazon” while turning you right and left in the middle of the song, holds your body closer to his. You begin to sweat, to transpire desire (please read this with a strong Mexican accent, c’mon, I know you can), you want this sensations to stop, but you hope they never end. It becomes addictive, you want more, but you don’t know if you can handle it. The same with Mexican food, you keep on munching, it seems harmless, tiny chilli seeds can be seen in the mix, but you don’t mind. You think you can handle it. The heat rises, your sight goes blurry, you need some air, some refreshments, but it’s to late, the chain reaction has began. The song keeps on playing the bodies keep on touching, perspiration finds no rest, and the way he handles your horizontal desires are always in a refine vertical way. The melody ends, he lets you go, whispers “gracias señorita” and walks away. There you are, hanging there, all turned on, sweaty and built up. The same with Mexican food, you look at the cause of this reaction, and can’t understand how a little taste of Mexican spiced up your night. Ps: Enchiladas are soft tortilla tacos filled with meat, chicken, cheese or beans, covered with red or green sauce, crowned with melted cheese. Ps3. 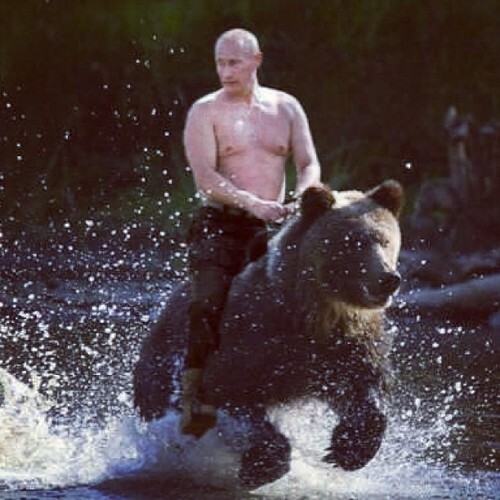 It is said that what happened in Russia could have been a lot worse, except that most of the meteorite was deflected back into space by Putin, who was casually riding his bear around the area when that happened.